Garden Design St Helens - Whenever somebody is re-decorating the inside of their home we all look for a mix of balance and individuality, we believe that this should be the same for the outdoor spaces on your property too. Whether you’re planning on a traditional British garden or something a little more modern, our talented and professional garden designers have the skills and knowledge to transform your garden from what it is, into the perfect garden for you. 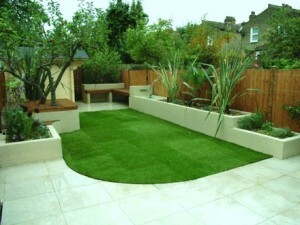 Our highly trained and professional gardeners can lay a new patio no matter what sort of paving it is that you chose or they can even repair and restore the original look of and existing one. We specialise in installing, repairing, fitting and laying, slabs, bricks, cobbles or block paving for patios, paths and driveways. A stylish paved patio will improve the look of your property and will even increase its market value. Our gardeners would offer you the best solution for your individual project and with a wide variety of patterns, colours, styles and types of paving to make your dream garden yours.